« HFL Poll: Are You Satisfied with the Current WoW Talent “Trees”? Horde for Life 107: He Who Has No Life… Actually Does! He who has no life… actually does! Episode 107 is an epic sized show covering enough content for two shows! 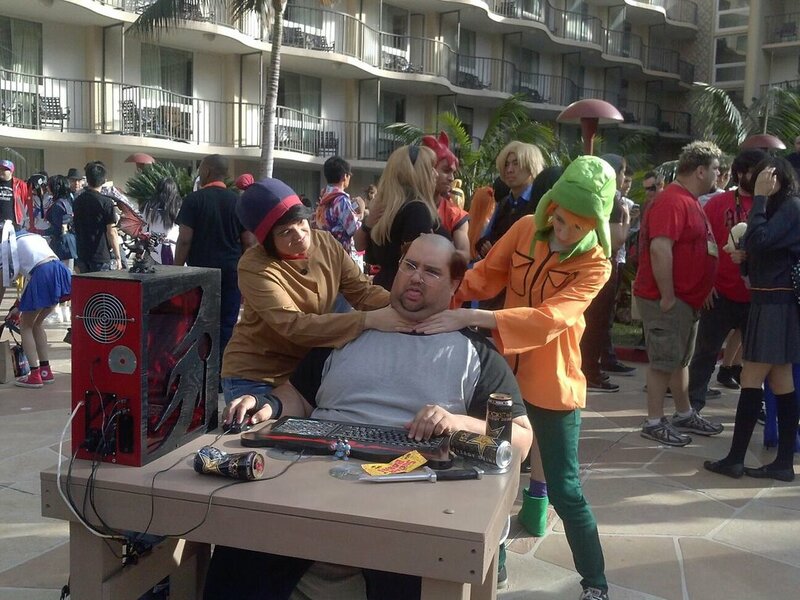 First we introduce Jarod Nandin who is the genius behind the cosplay hit “He who has no life” from the South Park episode “Make Love not Warcraft”. It turns out that Jarod actually does have a life and was a super fun guest to have on board with us this week. After some great discussion on Jarod’s cosplay past, present and future (don’t forget to check out the links below) we move on to a reader suggested top 5 of our favorite Blue Sky wants and desires for the World… of Warcraft. Think you know everything we discussed in the top 5? You would be wrong as several curve balls are thrown and some great ideas are out there for you to consider and respond to. If you love them, hate them or have your own do not hesitate to let us know. But believe it or not, we were not done there and that was not our biggest news as we share a strong rumor from a listener with claims to insider info on just exactly what Titan was before it’s cancellation. You might just be surprised, I know we were! This is a massive show with something for everyone from Cosplay to PvP and don’t forget to vote in our poll just below this post! This entry was posted on October 9, 2014 at 3:36 pm and is filed under General, HFL, MMO, Podcast, Polls, Role Playing, World of Warcraft with tags alliance, Blizzard, Games, Guild, Horde, Housing, MMO, Podcast, Polls, PVP, RPG, Warcraft, World of Warcraft, WoW. You can follow any responses to this entry through the RSS 2.0 feed. You can leave a response, or trackback from your own site.